Whenever I pull out the camera, my kids immediately scramble for it. 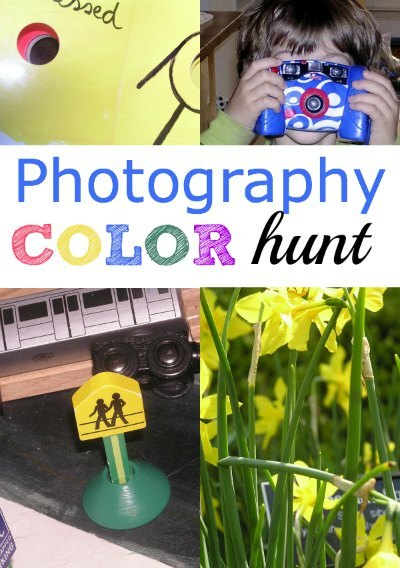 I thought it would be fun to focus their enthusiasm and go on a photography scavenger hunt. This is an easy kids activity for indoors as well as outdoors. So…… he took photos of things that are yellow. When we loaded the pics from his camera on the computer they were all fuzzy. Not sure if this is a quality issue with the camera or not, so I let him take some photos with the good my camera. He really enjoyed this project and it helped him settle down and concentrate on how to use a camera effectively. He got some great pictures! We did that a couple of times, but we had same quality issues with a “kid camera”. Now Anna goes on photo hunts with the real camera and sometimes gets some really interesting pictures. What a fantastic idea! I've been looking for ideas to make my older daughter more excited about trips outdoors, and she's just been allowed to start using one of the cameras. I'll totally try it!